As the Indian freedom struggle was gaining momentum all over the country was born Thindugal Madarsha Vappu Rowther in pallapatti a quiet village near karur. As a modest and pious youth he arrived in madurai seeking education, training and good fortune around 1880 @ 3 ramanathapuram road, madurai. By 1920 through the first world war T.M.V. Rowther had established a successful textile business based on high principles and his own personal profile. As a gentle and contented man he returned home to pallapatti and engaged himself in service to the community like construction of a public hospital, management of mosque, chairmanship of the panchayat and numerous charitable works. Management of business was duly taken over by his five illustrious sons and spread over a spectrum of activities in several places. 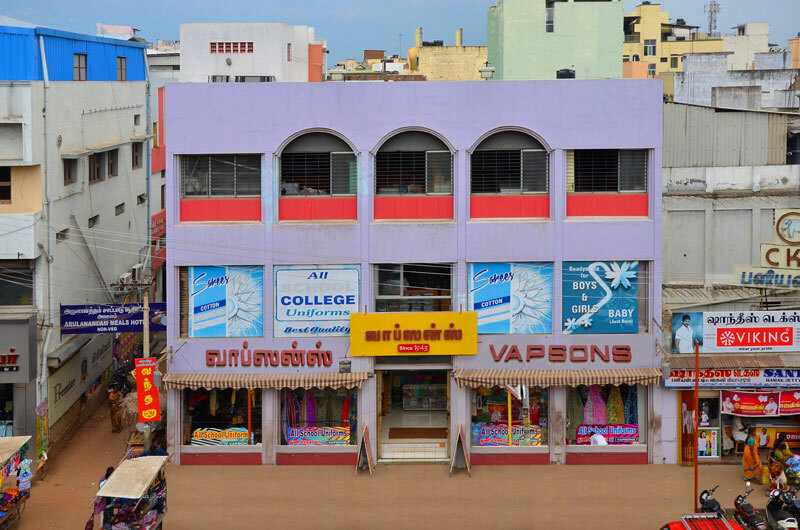 In sequence a well-designed and pleasant showroom by the name of VAPSONS CLOTH STORE was established in the original premises of No.3 ramanathapuram road, madurai. The showroom was inaugurated by C.P. Adithanar bar-at-law the founder editor of Daily Thanthi on 3.12.1943friday evening. The management of vapsons cloth store was entrusted to Haji T.M.V. Abdul wahab sahib, the youngest son of Haji T.M.V. Rowther. Haji T.M.V. Abdul Wahab Sahib managed the business through the trying times of second world war just as his father Haji T.M.V. Rowther faced the hard times of first world war. 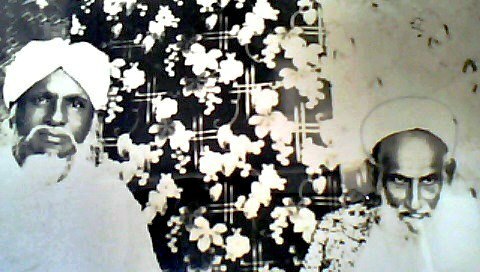 Hajiani zulaikha beevi, one of the earliest women graduates in the 1940’sand the spouse of Haji T.M.V. Abdul Wahab Sahib had an unseen impact over the business with her moral stature and wise counsel. During the second world war VAPSONS was an authorised dealer supplying controlled price clothes to ration card holders. Haji T.M.V. Abdul Wahab Sahib as a man of piety, principles and perfection earned the affection and loyalty of thousands of families and the generations that followed them. 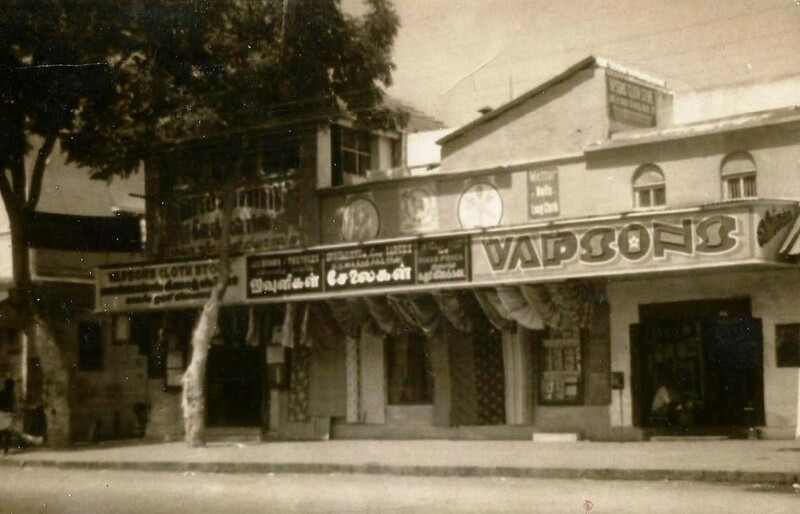 VAPSONS TEXTILES an equally versatile textile showroom was started on 27.9.1981 in palani and is being managed by his son, Haji T.V.A. Mohammed Farook a mechanical engineer by qualification. VAPSONS EXPORTS was established in 1986 to take care of the overseas trade. The present showroom was renovated and opened on 20.9.1989 and is mentored by Haji T.V.A. Mohammed Iqbal Sahib a post graduate in mathematics, a double gold medallist and a memorable student of madura college, madurai. 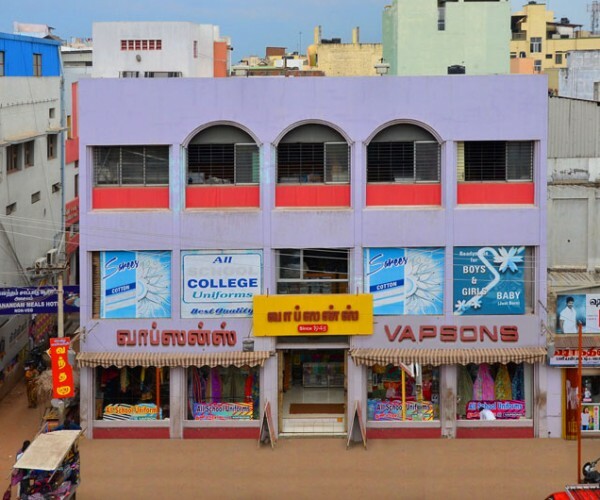 So goes the story of vapsons humble as vaigai, lofty as mahal and fragrant as madurai malli with the grace of almighty lord.